12 feet tall? | The Solar Nerd. Uncle Sam at the 4rth of July parade. When I was a kid growing up in South Jersey I used to make stilts out of a 2X4, a wedge of wood and 2 construction bolts. All my neighbors would try it and fall down in a few steps, but I would stay out there in the yard practicing until it was second nature. 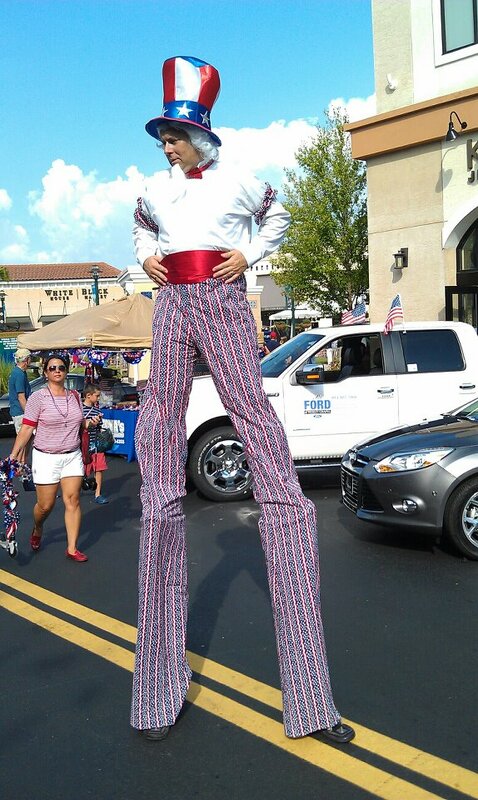 Walking on stilts is about as hard as ice skating or rollerblading, once you get the hang of it you never forget how to do it. 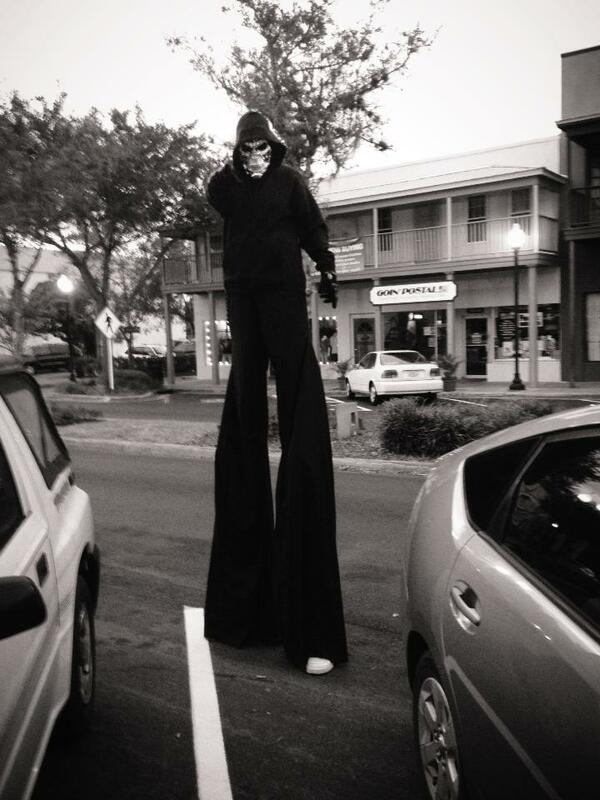 You have to practice on low stilts before you try the higher ones, a good sense of balance helps as well. In the last 2 years I’ve done Uncle Sam, Honest Abe and a Scary Ghoul this past Halloween for the Zephyr Hills Halloween parade. The Ghoul costume scared the tar out of a bunch of kids, especially because of the mask and the extreme height of the costume. I use drywall stilts, commonly used in construction, and purchased my pair for $70 out of a pawn shop over in West Pasco county. There are also spring stilts, but they only add about 3 feet of height, so they are not as dramatic when you see someone wearing them. As Uncle Sam or Abe Lincoln lots of people will come up to me and request a picture, or in some cases little boys will jump up and give me a (really) high five! On February 15th, 2014, I’ll be dressed as Lincoln for the Honest Abe 5K in Wesley Chapel hosted by my rotary club. It’s for a good cause, if you see me there take a pic with me and post it on the “Book of Faces”…..
← Now money vs. FUTURE money.